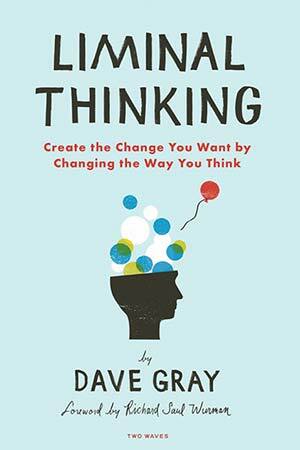 A note from the editors: We’re pleased to share an excerpt from Practice 4 of Dave Gray's new book, Liminal Thinking , available now from Two Waves Books. Use code ALA-LT for 20% off! Well, there was one guy on the team who just didn’t do that. He was staying late at night, and Adrian was getting quite frustrated by that. Adrian had a theory about what was going on. What seemed obvious to him was that this guy was being macho, trying to prove himself, trying to outdo all the other coders, and showing them that he was a tough guy. Everything that Adrian could observe about this guy confirmed that belief. Late one night, Adrian was so frustrated that he went over and confronted the guy about the issue. He expected a confrontation, but to his surprise, the guy broke down in tears. Adrian discovered that this guy was not working late because he was trying to prove something, but because home wasn’t a safe place for him. They were able to achieve a breakthrough, but it was only possible because Adrian went up and talked to him. Without that conversation, there wouldn’t have been a breakthrough. It’s easy to make up theories about why people do what they do, but those theories are often wrong, even when they can consistently and reliably predict what someone will do. These predictions are so vague that you can read anything you want into them. They are practically self-fulfilling prophecies: if you believe them, they are almost guaranteed to come true, because you will set your expectations and act in ways that make them come true. And in any case, they can never be disproven. So what makes a good theory, anyway? A scientist and philosopher named Karl Popper spent a lot of time thinking about this. Here’s the test he came up with, and I think it’s a good one: Does the theory make a prediction that might not come true? That is, can it be proven false? What makes this a good test? Popper noted that it’s relatively easy to develop a theory that offers predictions—like a horoscope—that can never be disproven. The test of a good theory, he said, is not that it can’t be disproven, but that it can be disproven. For example, if I have a theory that you are now surrounded by invisible, undetectable, flying elephants, well, there’s no way you can prove me wrong. But if my theory can be subjected to some kind of test—if it is possible that it could be disproved, then the theory can be tested. He called this trait falsifiability: the possibility that a theory could be proven false. Many theories people have about other people are like horoscopes. They are not falsifiable theories, but self-fulfilling prophecies that can never be disproven. Just because you can predict someone’s behavior does not validate your theories about them, any more than a horoscope prediction “coming true” means it was a valid prediction. If you want to understand what’s going on inside someone else’s head, sometimes you need to have a conversation with them. Sometimes people come into conflict not because they disagree, but because they fundamentally misunderstand each other. This can happen when people are viewing a situation from completely different points of view. Have you ever had someone that you worked with, where you thought, this person is insane; they make no sense; they are crazy; they’re just nuts? Everyone knows someone like that, right? Sometimes people really do have mental disorders, including problems that can create danger for themselves and others. If that’s the case, it might make sense to stay away from them, or to seek help from a mental health professional. But far more often, saying another person is crazy is just a way to create internal coherence within your belief bubble. Your “obvious” is stopping you from seeing clearly. The “crazy person” may be acting based on beliefs that are inconceivable to you because they are outside your bubble. If you think to yourself, this person is just nuts, and nothing can be done about it, it can’t be changed, then it’s possible that your theory about that person is constrained by a limiting belief. Most people don’t test their theories about other people, because it’s a potential bubble-buster: if you give your self-sealing logic bubble a true test, then it just might collapse on you. People do fake tests all the time, of course. Here’s an easy way to do a fake test of your beliefs. Just search the Internet. No matter what your belief is, you’ll find plenty of articles that support and reinforce your bubble. The Internet is like a grocery store for facts. It’s easier than ever to find “facts” that support pretty much any belief. Fake tests will help if your goal is to feel better about yourself and reinforce your bubble. But if you want to figure out what is really going on, a fake test will not help. What will help is triangulation: the practice of developing multiple viewpoints and theories that you can compare, contrast, combine, and validate, to get a better understanding of what’s going on. U.S. military strategist Roy Adams told me this story about an “aha” moment he had in Iraq. He was having a beer with a friend who was in the Special Forces. Usually, they didn’t talk about work, but he happened to have a map with him. At the time, Adams and his team were designing their plans based on the political boundaries of the map, so on the map were districts, as well as the people who were in charge of the districts. His friend said, “You know, this is really interesting.” And he picked up a pen and said, “Let me draw the tribal boundaries on this map for you.” The boundaries were completely different but overlapping. Suddenly, Adams had two different versions of reality on his map. The political map was primarily a Shia map, and the tribal map had both Sunni and Shia. Only by overlaying the two maps did Adams start to understand the situation. Neither map would have made sense by itself. By laying these maps over each other, suddenly things started to click. Now he understood why they were having success in some places and meeting resistance in others. Everything started to make more sense. 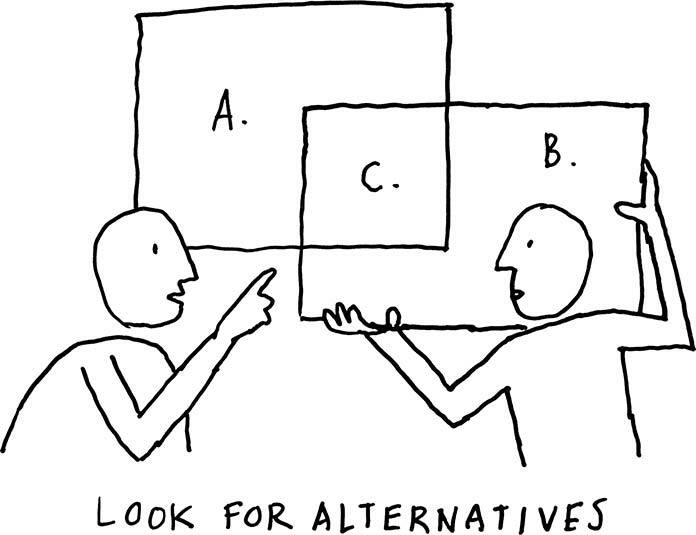 Fig 1: Look for alternatives. My friend Adrian Howard told me about a similar experience he had when working at a large Telecom company that had grown by acquiring other companies over many years. His team found itself running up against resistance and pushback that seemed odd and inexplicable. Then someone on the team took some markers and color-coded the boxes on the org chart based on which companies the people in each box had originally come from—many of whom used to be fierce competitors—and suddenly the reasons for the resistance became clear and understandable. For any one observation there may be a vast number of possible explanations. Many of them may be based on beliefs that are outside of your current belief bubble, in which case, they may seem strange, absurd, crazy, or just plain wrong. Most of the time we are all walking around with our heads so full of “obvious” that we can’t see what’s really going on. If you think something is obvious, that’s an idea that bears closer examination. Why do you think it’s obvious? What personal experiences have you had that led to that belief? Can you imagine a different set of experiences that might lead to a different belief? 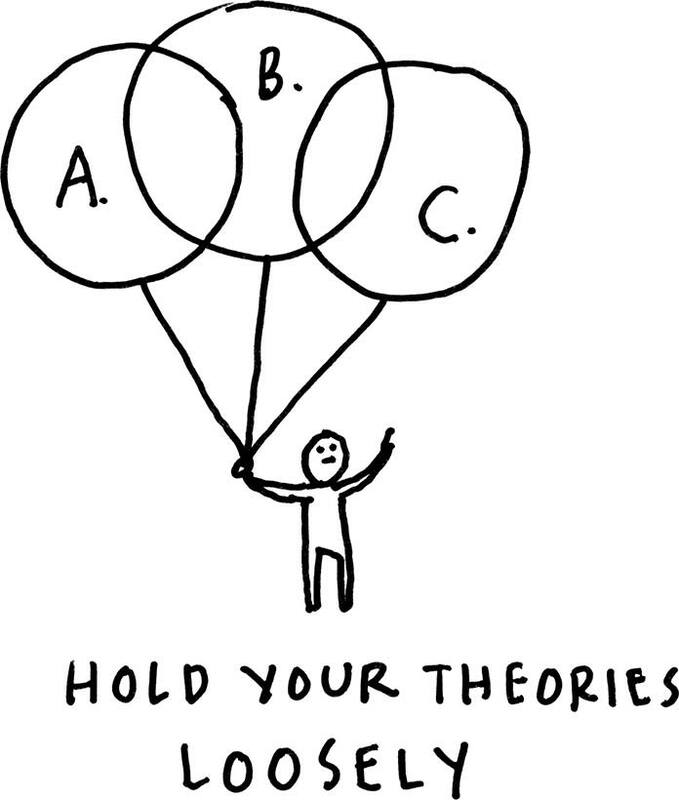 Fig 2: Hold your theories loosely. Then you can start asking questions and seeking valid information to help you understand what’s really going on. The way to seek understanding is to empty your cup, step up and give people your full attention, suspend your beliefs and judgments, and listen carefully. The thing to remember is that people act in ways that make sense to them. If something doesn’t make sense to you, then you’re missing something. In many cases, the only way you’re ever going to understand what’s inside someone else’s head is by talking to them. Sometimes that idea might seem scary. It may be that you will hear something that threatens your bubble of belief. But if you can get over your fear, go and talk to the dragon, or take the ogre out for coffee. You just may learn something that will change your life. Triangulate and validate. Look at situations from as many points of view as possible. Consider the possibility that seemingly different or contradictory beliefs may be valid. If something doesn’t make sense to you, then you’re missing something. Think about a co-worker or family member, someone you care about, or can’t walk away from for whatever reason, that you have trouble getting along with. Consider their beliefs and behavior, and come up with as many theories as you can to explain why they act the way they do. Then see if you can have a conversation with that person to explore what’s really going on. Think of a situation at home or work that you find problematic. Try to come up with as many perspectives as you can that might give you a different way to look at the situation. What is your current theory? What is its opposite? How many perspectives or points of view can you think of that might help you see that situation through different eyes? Get 20% off your copy of Liminal Thinking and other titles from Two Waves Books—an imprint of Rosenfeld Media—with code ALA-LT. When a designer becomes known for a certain look or style, it could be a sign that they’re held in thrall by something in their own personality or individual life experience. Matt Griffin reminds us that design is a service intended to be tailored to the client. To best meet the project’s and the client’s needs, recognize when you’re hanging on to a limited selection of personal design tropes. Dave Gray is a leader and manager with a background in design. He has worked with many of the world’s largest companies, as well as mid-sized businesses, startups, executives, and individuals. He is the founder of XPLANE, a strategic design consultancy, co-founder of Boardthing, a collaboration platform for distributed teams, and author of several books, including Gamestorming and The Connected Company . It’s interesting to think about the US Election and the two camps of adherents currently vying for their candidate’s victory in light of this article. A few weeks ago I had to build a consensus in a group of people, and I found I didn’t understand why two groups were at loggerheads. I discovered the difference was political, and the enmity was all out of proportion to the actual differences in opinion. So I arranged for meetings between the main opinion-makers on each side by making sure they attended social events sponsored by our organization, and mediated small discussions to find common beliefs apart from the political memes. Because both sides have a better idea why the ‘other’ thinks the way they do, and have some common threads of belief, we’ve now moving forward towards agreement. What this advice boils down to is: get a good liberal arts education. Sometimes I think the whole business consulting industry is aimed at equipping people with what they might have learned in college had they not preferred to spend their time drinking or going to ball games of one kind or another. This book can help to improve brain performance by practicing and create a new mindset which is more effective. Liminal Thinking is a good book. Thanks for the sharing this great idea by the article.. Here in Africa, we could certainly do with a change approach that focuses on understanding how African people construct and change their beliefs. Growing up, so much of my thinking during a conversation with someone was centered on what I was thinking. It wasn’t until I started to think about the other person’s perspective when my conversations and relationships started to dramatically improve.